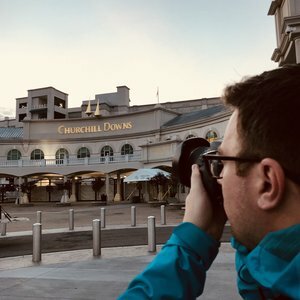 We’ve just returned from our big trip down to Louisville, Kentucky for Equestricon 2018! 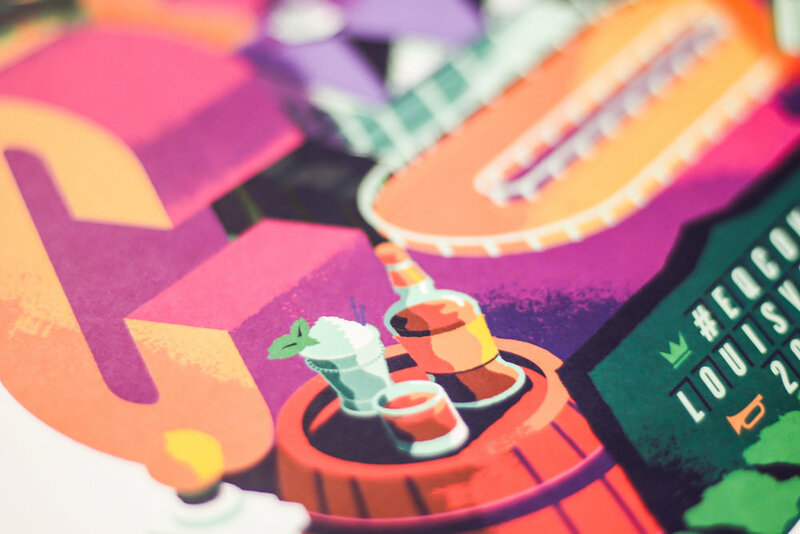 As our second year being involved with the team, we’ve been working hard on their creative materials and were so pumped to see it all in action. 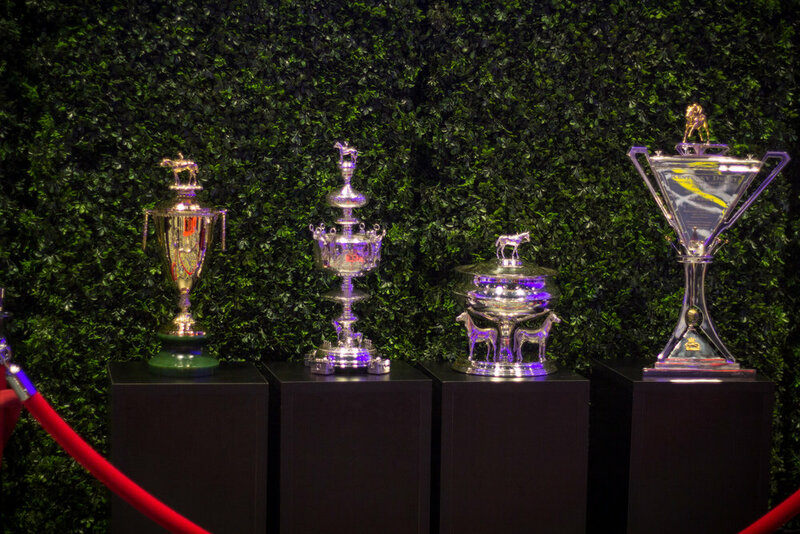 The festival coincided with this year’s Breeders’ Cup too, which made it the perfect week to celebrate racing. 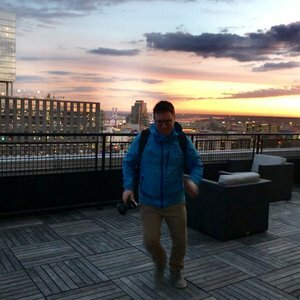 We had such a blast in our whirlwind 48-hour trip, and packed as much into it as we possibly could! After two (very early) morning flights (that were mostly filled with sleep), we arrived at the Louisville airport—which was extremely apparent by the array of whiskey and horse-related advertisements that graced every surface. Before we even got into our Uber, we saw people sporting last year’s Equestricon swag and we knew we were in the right place. 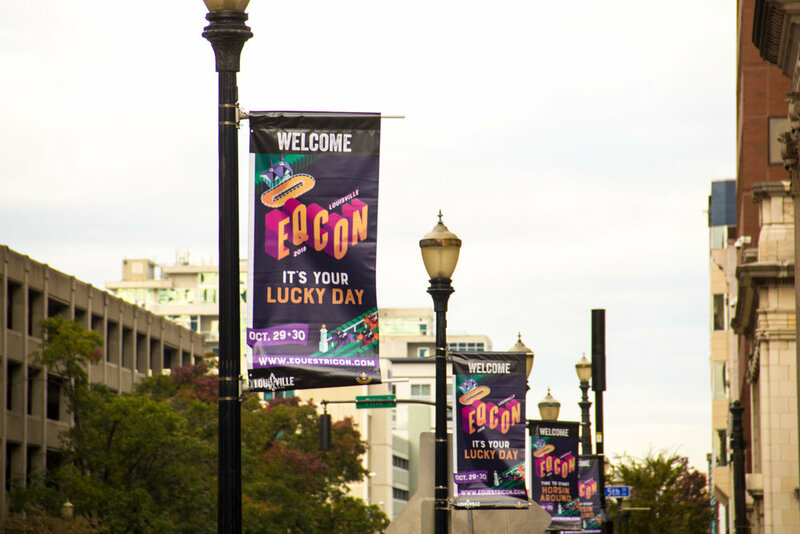 On our way to the brand new Kentucky International Convention Center, we spotted the Equestricon 2018 logo we designed on the Louisville Tourism Center’s windows, then looked up and saw series of banners lining the streets leading up to the center. Then BAM! A huge digital billboard. It was so awesome to see it all before even arriving onsite. 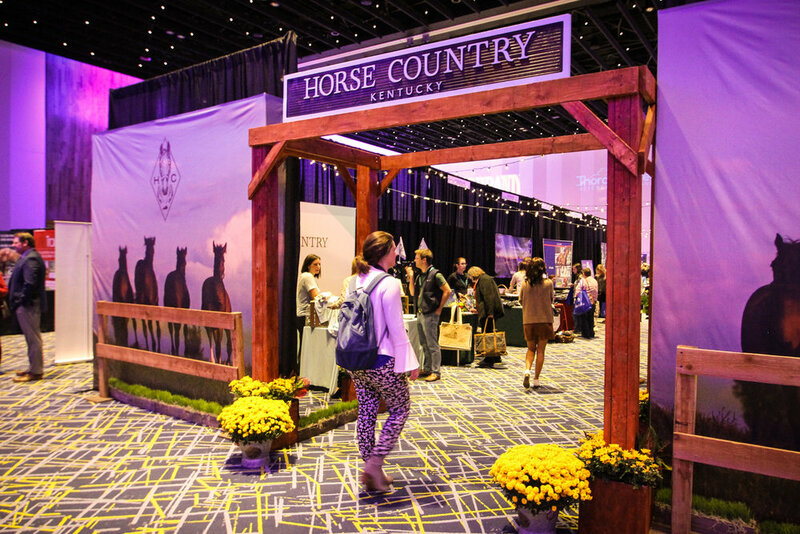 When we went inside, we were in awe at what the Equestricon team had pulled off: a complete transformation of the convention center, with attention paid to every last detail. 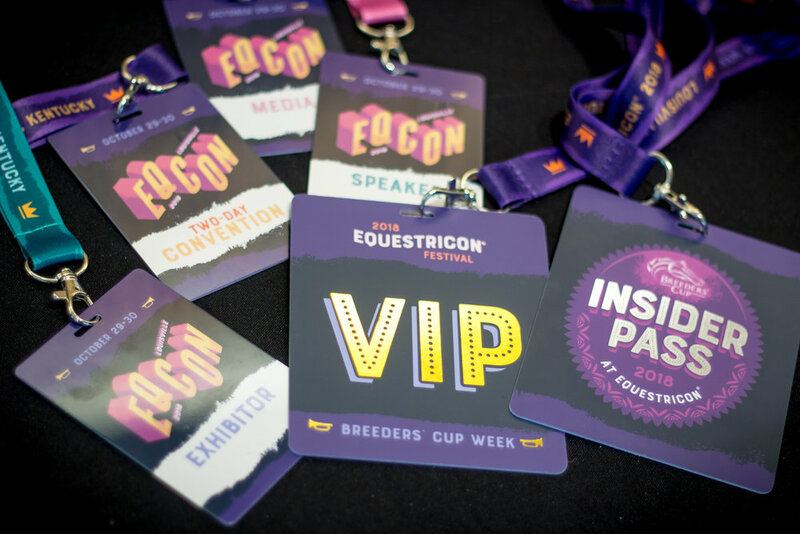 Many of those details we had proudly designed over the last year, but all credit goes to the Equestricon team for making their vision a reality. 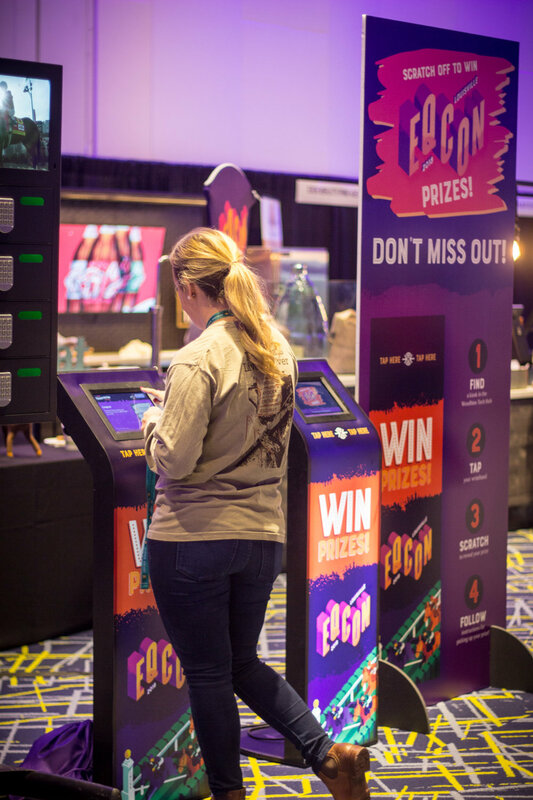 We couldn’t wait to see all of work in person: there were foil-stamped passes and interactive apps; wayfinding signage and crazy photo booth displays. 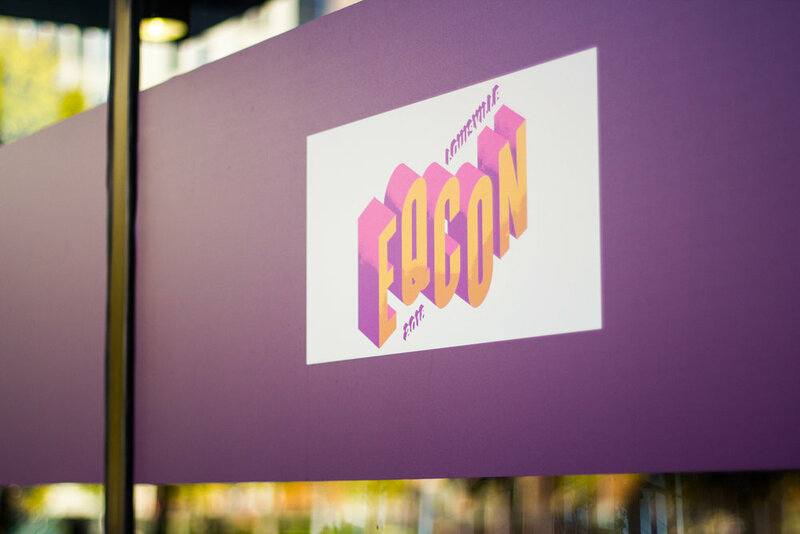 The Equestricon team trusted us to curate their brand throughout the festival, which helped bring the convention to life. We loved seeing the project through from start to finish, beginning with initial design concepts to coordinating production with vendors and other creative teams (like Front Gate Tickets, Game 7 Marketing, Ole Creative, Grand Slam Social and Smilebooth to name a few). 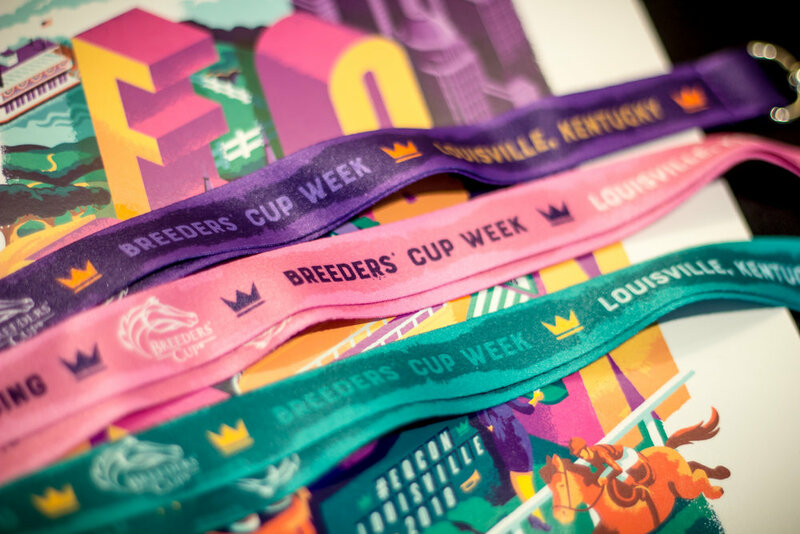 We also had the honor of working with renowned horse racing brands, like the Breeders’ Cup and Rood & Riddle. We’re really proud of the teamwork, collaboration, and final product that came out of it. 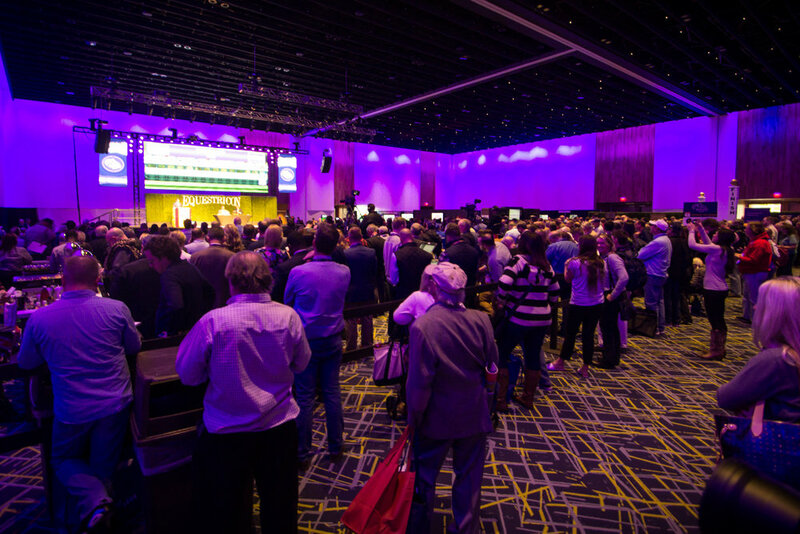 The convention itself featured a litany of events, panels, and workshops, including an array of world-famous jockeys, trainers, and horse racing professionals around every corner. We found ourselves in casual conversation with Hall of Fame jockey Chris McCarron and sharing laughs with Triple Crown-winning jockey Mike Smith. Fans lined up for hours to meet Team Justify, including Bob Baffert, and get our illustrated poster signed by these living legends. Un. Real. Triple Crown Winner Mike Smith! 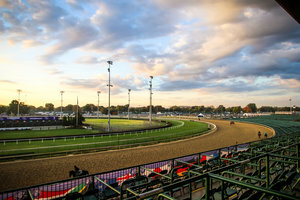 The next day, we woke up at the crack of dawn and spent the morning at the mecca of thoroughbred horse racing: Churchill Downs. 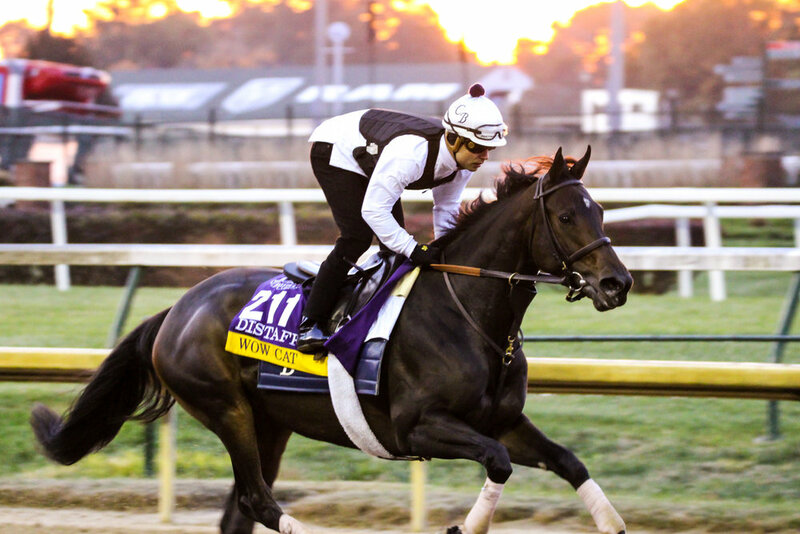 We were lucky to catch the Breeders’ Cup contenders getting in their morning workouts in preparation for the weekend races. It was so peaceful, seeing the Twin Spires and silhouettes of horses behind a beautiful sunrise. Definitely worth the early alarms! 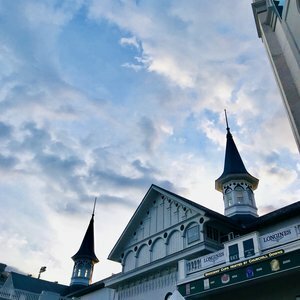 We spent the rest of Tuesday soaking in some more amazing Equestricon events (we especially loved the panel of Breeders’ Cup winning jockeys), documenting our work, networking, and squeezing in a couple more bars before flying home. 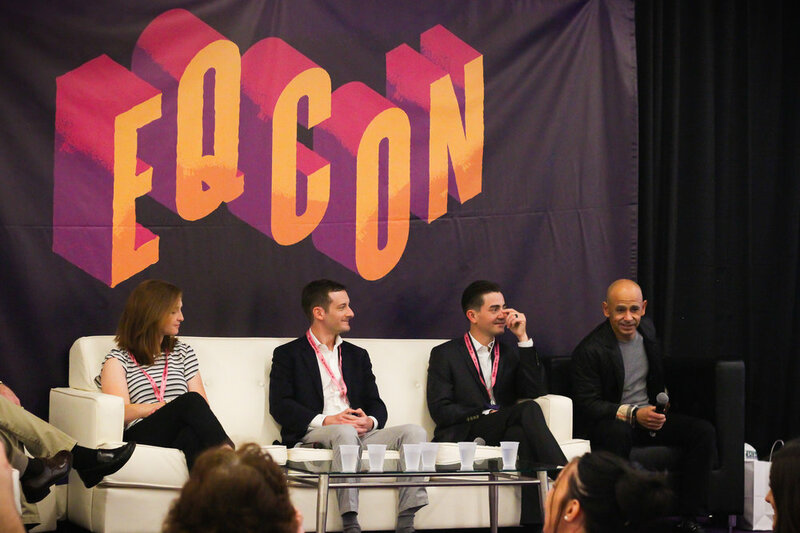 We’ve been so thrilled to partner up with the Equestricon team—Kathryn, Justin, Dan T and Dan M—and cannot wait to see what excitement their 2019 event will bring!